Why you should buy Ford? There are few things as American as the Ford brand. Founded in 1903, Ford trucks and cars were on America's first paved roads. In fact, in 1916, the Ford Model T made up 55% of all the cars in the world! At Southern California Ford Dealers, we understand that times have changed and drivers have many more choices when it comes to cars, trucks, SUVs, and crossovers than they did in 1916. That's why we thought it would be helpful to go over the basics on why we believe you should buy Ford now. No matter the type of vehicle you're looking for, Ford and the Southern California Ford Dealers have you covered. While there are many different vehicles to choose from, there are a few that our dealers have as favorites. In the mood for a truck that is tough, powerful, and uniquely styled? Then you'll want to check out and buy the 2018 Ford F-150 Raptor. This imposing 4x4 full-size truck has a 4.10 front axle with TORSEN differential and a twin-turbo intercooled DOHC 24-valve 3.5-liter EcoBoost engine that generates 450 horsepower and 510 lb.-ft. of torque. This impressive truck can also be equipped with an optional twin-panel moonroof, 170 Degree Rear Door, and remote tailgate release. If you're more interested in an economical but spacious car, you'll want to take a closer look at the 2018 Ford C-Max. This compact hybrid car comes with the customizable SmartGauge with EcoGuide that features LCD displays that help you understand how changing your driving habits can have a direct effect on maximizing vehicle efficiency. 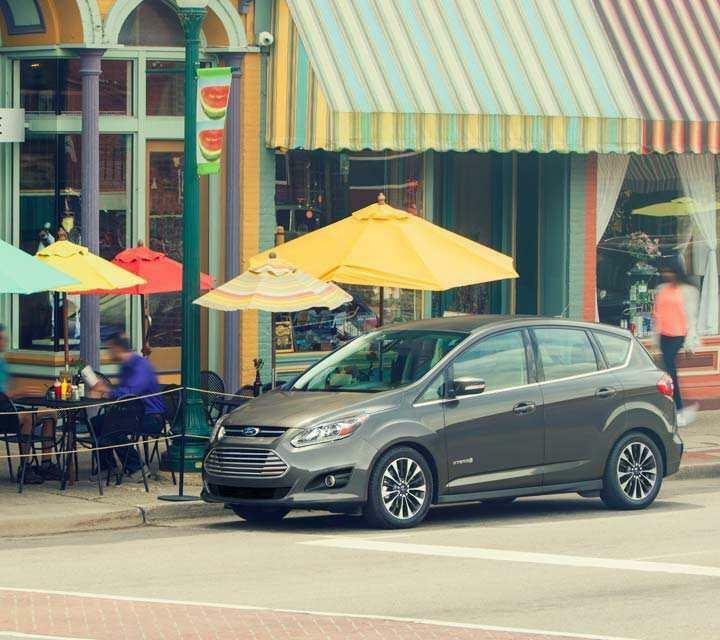 The Ford C-Max also offers best-in-class power with 188 horsepower and when in all electrical mode you get a top speed of 85 mph. While it's not in the showrooms yet, the 2019 Ford Ranger is a perfect example of the future of Ford vehicles. In keeping with our "Built Ford Tough" ethos, the redesigned Ford Ranger will be available in ten trim levels that can be equipped with the FX4 off-road package that includes bash and skid plates, enhanced off-road traction tires, and a status screen. There are few brands that take care of their customers like Ford. Getting affordable Ford Credit is a quick and pain-free at all Southern California Ford Dealers. We offer an online payment calculator as well as incentives and offers and tons of detailed information to improve the financing process. The Ford website also allows you to monitor and safely pay your Ford Credit bills. Remember, Southern California Ford Dealers is made up of 69 individual Ford dealers, all of whom have their own highly-skilled Finance and Credit department ready to help you today. All our dealers offer the same outstanding warranties and service you've come to expect from Ford. If you live in Southern California, finding a Ford Service Center near you is just a click away. On top of the amazing standard 5-year/60,000-mile Powertrain Warranty from Ford, you can also take advantage of the Ford Protect. This suite of protection plans are 100% backed by Ford and include a number of extended service and premium maintenance plans. This level of protection and service can give all Ford owners in Southern California and beyond tremendous peace of mind. If you're convinced that buying a Ford is right for you, the time is perfect to contact your local member of Southern California Ford Dealers. All our dealers are Ford experts and will help and support you for the life of your new and pre-owned Ford vehicle. Contact us today to learn why you should buy a Ford and how we compare to the competition.